ORILLAT, JEAN, merchant-trader; b. 1733 at Barbezieux, France, son of Jean Orillat and Marie Dupuy; m. 21 Sept. 1761 Marie-Amable Filiau, dit Dubois, in Montreal (Que. ); m. there secondly 27 Aug. 1767 Thérèse-Amable Viger; d. 1779 in Montreal. Jean Orillat came to Canada when he was quite young and soon took an interest in business. It is not known whether he brought capital from France, but in 1757 he signed on 16 men as engagés to go to Michilimackinac (Mackinaw City, Mich.). The war doubtless interrupted his trade in furs, but he resumed it in 1761, investing varying but usually substantial amounts in it. From his earliest years in Canada he evidently had large sums of money since at the time of his first marriage contract he kept trade goods worth 20,000 livres out of the material arrangements made. Similarly, when his second marriage contract was signed, he reserved for himself the property from his first joint estate. Orillat’s business expanded in 1763 when, in partnership with Pierre Cardinal, he obtained from the merchant Benjamin Comte more than 60,000 livres to invest in the fur trade at La Baye (Green Bay, Wis.). The partnership probably lasted at least two years, for in 1765 numerous engagements for Michilimackinac and La Baye were signed. In the autumn of 1764 Orillat had received official permission to go to France and settle business matters. In 1767 Orillat took on a new fur-trading partner, Jean-Gabriel Cerré*, a trader in the Illinois country. The partnership contract stipulated that Orillat would put his order for the trade goods required by Cerré to the merchants Brook Watson* and Gregory Olive, who in turn would look after selling the skins and furs on the London market. Watson and Olive was one of the largest London houses with business interests in Canada. 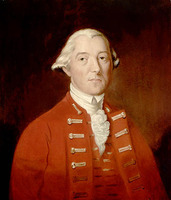 Watson, a man of “recognized integrity,” had represented British merchants at the time of the negotiations with the court of France over the liquidation of Canada paper. Furthermore he was a friend of Governor Carleton*. Nevertheless, this second company created by Orillat had only limited success; when it was dissolved in 1771, the only subject of discussion was debts. A third partnership, this time bringing together Orillat and the merchant Pierre Foretier*, was set up in 1774. The associates carried on trade in furs as well as selling trade goods to voyageurs, secured on fur shipments to London. This latter procedure allowed them to make profits on the goods without running the risks of the fur trade itself or of fluctuations in prices on the British market, and it explains their success. When the partnership was liquidated in 1780, after Orillat’s death, it declared over 160,000 livres owing to it in debts secured on fur shipments in England. In addition to the company formed with Foretier, Orillat carried on trade in furs on his own account and kept a shop in Montreal where he sold trade goods and everyday articles both wholesale and retail, as was the custom of Montreal merchants. This establishment stood out because of its size (it had more than 100,000 livres in stock at the time of Orillat’s death) and the variety of articles carried. Its clientele consisted mainly of craftsmen from Montreal and the surrounding region, and occasionally of other merchants such as Edward Chinn, Pascal Pillet, Jean-Baptiste Lemoine Despins, John Porteous, John Askin*, and Joseph Sanguinet, or fur-traders such as Jean-Étienne Waddens, Christophe Sanguinet, Pierre-Louis and Charles-Jean-Baptiste* Chaboillez, Hypolite Desrivières, Jean-Marie* and Dominique* Ducharme, Nicolas Blondeau, and Alexis Réaume, Orillat’s future son-in-law. Orillat’s activity did not stop here. He also lent money on security, bought letters of credit, and acquired both urban and rural land. He even hired one of his debtors to help his farmer, and once sold for double its purchase price a piece of land he had bought that very day. He also made deals in wood and wheat. He had achieved success. Orillat seems to have been gifted with business acumen, and his financial situation allowed him a degree of luxury. Thus his furnishings included candlesticks, silver cutlery, a mahogany table brought from England, and landscape paintings. He also owned some black slaves. At his death the strong-box “serving as a cash-box” contained 15,000 livres in gold and silver. All of this constituted only a small part of his estate valued at nearly 750,000 livres. 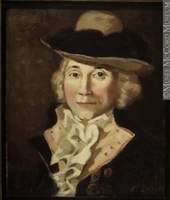 Like a number of other Canadian merchants, Orillat dabbled in politics, signing a few petitions to the government on matters concerning the fur trade and the value of the currency. His loyalty to the new régime was, however, complete, and it brought him an arduous experience. When the Americans invaded the province of Quebec in September 1775, some parishes in the Richelieu valley went over to the American side, and Governor Carleton tried to bring them back into line by offering amnesty. On 14 September he sent Orillat, along with a trader by the name of Léveillé, to take the amnesty proclamation to them. They reached Saint-Denis on the evening of 17 September and were offered hospitality by parish priest François Cherrier*, in whose house they spent the night. Early next morning a group of Canadian rebels besieged the house and demanded that the two visitors be handed over. Orillat and Léveillé were thus taken prisoner, conducted to the rebel camp on Île aux Noix, and then to Ticonderoga and Albany, N.Y. From there they went to Connecticut, where they were kept under house arrest, although they were not imprisoned, for fear of the impact such a gesture might have on the attitude of the Canadians towards the Americans. The Americans had captured an important figure. 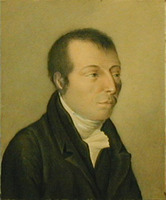 Orillat wrote from Albany to the provincial Congress of New York to obtain his release. His request was forwarded to the second Continental Congress, but the New York body asked the Albany committee of safety to make his captivity as easy as possible while preventing his escape. In October 1775 Brook Watson, who had arrived in Canada in the summer, wrote to influential people in Boston trying to obtain his release. Orillat, who had put up a stiff resistance at the time of his capture, managed to escape in late December 1775. His whereabouts between then and September 1776 are unknown. At that time the company created by Foretier and Orillat obtained from Carleton the contract to supply the Indians in 1776 and 1777. The following year Orillat was granted a fur-trading licence for Michilimackinac; in addition he gave bond for other voyageurs, which leads us to suppose that he was taking the lead of a trading expedition. He made a second voyage in 1778 and returned to Montreal early in October. He was becoming ill and he died some time before July 1779. Orillat was survived by his second wife and a 16-year-old daughter, Marie-Luce-Amable, who had just been married. He bequeathed his whole estate to his daughter; her husband, fur-trader Alexis Réaume, took over its management. Réaume probably had less talent than his father-in-law, for in 1786 all rights to the estate were turned over to the London firm of Rashleigh and Company. Thus vanished the largest fortune of the period. AN, Col., C11A, 108, f.172. ANQ-M, État civil, Catholiques, Notre-Dame de Montréal, ler juill. 1779; Greffe de P.-F. Mézière, 19 juill. 1779; Greffe de Pierre Panet, 8 mars, 30 mai, 7 juin 1757; 7 mars, 8 mai, 19 sept. 1761; 28 avril, 15, 20 sept., 13 nov. 1762; 14 janv., 11 févr., 3, 4, 26 mai 1763; 3, 15 mars, 3, 13 sept., 13, 15, 17 oct. 1764; 23 mars, 7, 16, 25 avril, 2, 8 mai, 11 juin, 13, 24, 29 août, 16 oct., 17 déc. 1767; 7 juin, 7, 30 juill., 23 sept., 31 oct. 1768; 4 févr., 25 mars, 8 mai, 20, 24 juin, ler juill., 10 août, 13 sept., 8 nov., 5, 7 déc. 1769; 3 janv., 12, 14 févr., 10, 28 mars, 8 mai, 2, 5 juill., 25, 31 août, 18, 22 oct. 1770; 22 févr., 12 mars, 15 avril, 15, 27 mai, 4, 25 juin, 30 juill., 6, 28 août, 26, 28, 30 sept., 2, 9, 23 oct. 1771; 27 janv., 3 avril, 18 mai, 10 juin, 4, 17 sept., 12 oct., 2, 3 déc. 1772; 2 janv., 15, 30 mars, 21 avril, 1er mai, 25 août, 2 oct., 6 déc. 1773; 16 mai, 18 juin, 22 juill. 1774; 15 mars, 23 juin 1775; 24 janv. 1778; Greffe de François Simonnet, 14 août, 19 nov. 1771, 1er oct. 1773. BL, Add. mss 21757, ff.82–84v; 45915, ff.228–33 (mfm. at PAC). McGill University Libraries, Dept. of Rare Books and Special Coll., New ms coll., Orilliat, Jean, 1733–79, Inventaire des biens de la communauté d’entre feu Mr Jean Orilliat à dame Thérèse Viger son épouse, 19 juill. 1779. PAC, MG 18, H28, 3; MG 24, L3, pp.26208–10; RG 4, B28, 115; B58, 15. PRO, CO 42/3, f.228; 42/5, ff.298–99; 42/24, ff.72–73v; 42/27, ff.140–45; 42/66, f.225 (mfm. at PAC). American archives (Clarke and Force), 4th ser., III, 1285; IV, 917. Invasion du Canada (Verreau). PAC Rapport, 1904, app.I, 375–76. “Protêt des marchands de Montréal contre une assemblée des seigneurs, tenue en cette ville le 21 février, 1766,” É.-Z. Massicotte, édit., Canadian Antiquarian and Numismatic Journal (Montreal), 3rd ser., XI (1914), 1–20. Quebec Gazette, 1 Feb., 12 April 1770, 28 Feb., 18 April, 25 July 1771, 23 July, 26 Nov. 1772, 7 Sept. 1775, 15 April, 9 Nov. 1779, 6 April 1780. Massicotte, “Répertoire des engagements pour l’Ouest,” ANQ Rapport, 1931–32, 1932–33. Tanguay, Dictionnaire, IV, 25; VI, 170. A.-H. Gosselin, L’Église du Canada après la Conquête. J. C. Webster, Sir Brook Watson, friend of the loyalists, first agent of New Brunswick in London (Sackville, N.B., 1924). F.-J. Audet, “Jean Orillat,” BRH, XL (1934), 233–34. É.-Z. Massicotte, “Le bourgeois Pierre Foretier,” BRH, XLVII (1941), 176–79; “Orillia, Orilla et Orillat,” BRH, XL (1934), 160–61. Gabriel Nadeau, “Jean Orillat,” BRH, XLI (1935), 644–84. José E. Igartua, “ORILLAT, JEAN,” in Dictionary of Canadian Biography, vol. 4, University of Toronto/Université Laval, 2003–, accessed April 26, 2019, http://www.biographi.ca/en/bio/orillat_jean_4E.html.